No two students are alike, which means that what works for one student might not work for another. This guide to the best accredited affordable online psychology degrees keeps that in mind, offering a host of cheap online psychology degree options that can meet the needs of a variety of students. To make the cut, a school has to meet several criteria. First, the degree program must be available fully online, and the sum total of tuition and fees must not exceed $23,000. Schools must also offer an academically rigorous curriculum, an accredited program, and a meaningful chance at getting a job after graduation. 1. We developed a list of all regionally accredited psychology programs that offer an online degree. To learn more about regional accreditation, visit this link. 2. We perused review sites, reviewed common student complaints, and looked for negative news stories and governmental investigations. Schools with very negative reviews, a history of government investigations or with similar serious problems, were taken off of the list. 3. Schools that ranked among the top 25 or better with a school ranking service such as U.S. News and World Report received two points. Schools that made a ranking list but that were not listed in the top 25 received one point. 4. We analyzed data published by schools about student outcomes, such as post-graduation employment, graduation rates, and faculty-student ratios. Schools with consistently positive outcomes and a faculty-student ratio below 1:30 received one point. 5. We looked at the programs each school offered. Schools that provided students with oppoortunities for paid internships, intensive faculty advisement, substantive research projects, or certifications and specializations received one point. Schools with the highest scores made the list, and schools are listed in order of cost, with the costliest schools listed first. Post University is one of the oldest for-profit universities in the country, and was originally founded in 1890. Its bachelor of arts in psychology can be completed exclusively online, and Post has a stellar reputation for software and programs that are student-centered and easy for even novices to use. Academic terms are short, with classes offered in eight-week formats six times per year. Students can devise their own schedule, and Post offers full-time, part-time, and accelerated program options. Post encourages students to select a minor, and many students opt for the school’s forensic psychology minor. Ideal for students who wish to pursue careers in research, law enforcement, or laboratory settings, the forensic psychology concentration emphasizes science education and data analysis. Post also offers two applied concentration tracks for students who wish to specialize. The human development, education, and health concentration explores the various components of human well-being, emphasizing a holistic approach that can benefit future clinicians, as well as students who wish to work in educational or community settings. The organizational psychology concentration examines social and group psychology, preparing students to analyze and understand organizational behavior, particularly in a business setting. Class sizes are small, and students can meet one-on-one with their professors in a virtual setting. Post places heavy emphasis on career preparation, with every class highlighting writing and interpersonal skills. Transfer students can transfer up to 90 credit hours from another institution, and the university offers technical assistance 24 hours per day, 7 days per week. Tuition is $20,925 per year. 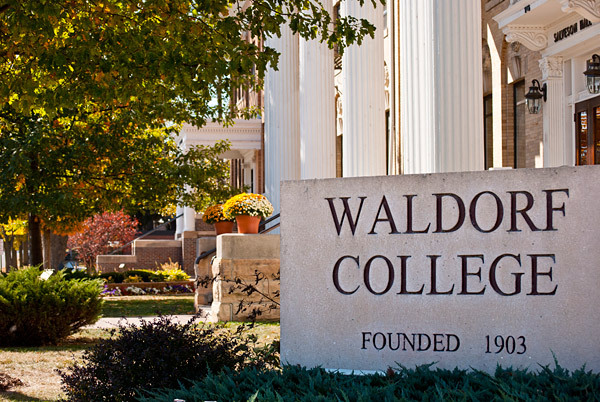 Waldorf College is an ideal choice for students who want flexibility in degree choice and a wide variety of concentrations. The school offers an associate degree, as well as a bachelor of arts or bachelor of applied science in psychology. Waldorf strongly emphasizes preparing students for the real world, and offers six concentration tracks: communications, criminal justice, fire science, health care management, occupational safety and health, and sport management. These concentrations tie in human behavior to diverse fields, giving students a broad base of knowledge that can benefit them in a variety of careers. The psychology bachelor’s degrees require 120 hours of coursework to complete. Online sessions are available 24/7, allowing students to learn at their own pace and set their own schedule. Students can also receive free textbooks through Waldorf’s book grant. While most students are transfers, Waldorf does not require any applicants, including freshmen, to submit standardized test scores. The program offers flexible start dates and a short admissions time table, making it a good choice for students who want to quickly begin school. Waldorf allows students to transfer up to 75% of the total credits necessary to graduate, which means students can finish their degrees in a year or less. Class sizes are small, offering personalized attention, and each course focuses on practical skills such as communication and job readiness. The school’s career office has corporate and private partnerships across the country, and diligently works to place students in jobs and internships. Waldorf offers a variety of tuition discount and financing programs, including a first-year scholarship of $500. Tuition is $20,316 per year. Ohio Christian University is a private Christian university loosely affiliated with the Churches of Christ in Christian Union. Its 120-hour bachelor of science in psychology is an explicitly Christian psychology degree, with a strong emphasis on integrating biblical principles into the study of psychology. 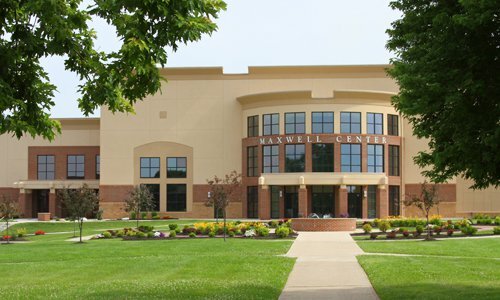 Consequently, Christian students may love the program, while non-Christian students may feel unwelcome. The school also offers an associate degree online, and students in the associate program can pursue an additional 55 credits to convert their associate degree into a bachelor’s. The school is relatively new to the world of online degrees, but students report that the program is easy to navigate. Instructors from the school’s traditional degree program teach its online coursework, and the course requirements are identical to those required of students who enroll in a traditional degree programs. 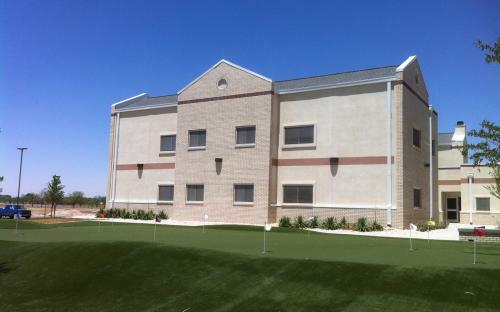 Professors include full-time tenured faculty, practicing psychologists, and pastoral counselors. OCU places a heavy emphasis on research methods, data gathering, and the scientific method. Students need basic math and science skills, and take several courses on statistics and quantitative analysis. Students complete their degree with an integrative seminar designed to help students focus on a specific area of interest in the field. Most classes require five weeks of coursework, making OCU’s program a good choice for students who want to complete their degrees quickly. The program is a flexible one, and students have 24/7 access to course materials, as well as web support. Most students receive financial aid. Tuition is $17,720 per year. 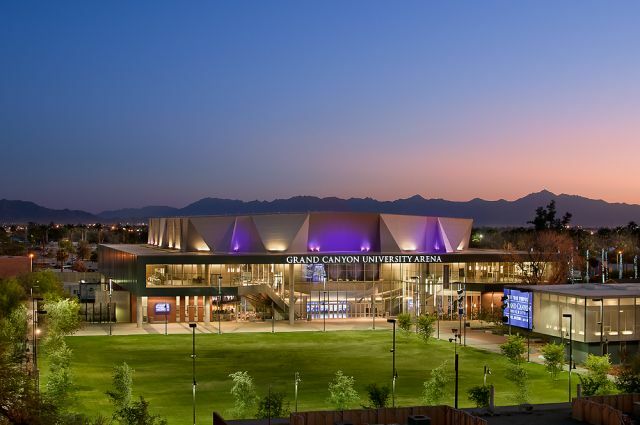 Grand Canyon University is one of only a small number of Christian for-profit universities, making it an ideal choice for students from a Christian background who want faith to be a part of their educational experiences. GCU actively encourages students to bring their faith to school, but accepts students from all religious backgrounds, and the psychology degree does not require any specific religious beliefs or training. Unlike many other for-profit universities, Grand Canyon has active athletic teams and student organizations, and actively encourages students to become involved in student life – even if only from a distance. Classes are taught by professionals in the field, many of whom double as instructors at well-known traditional universities. The school’s bachelor of science in psychology requires 120 credit hours, and can be taken online only, or at the school’s Phoenix, Arizona, traditional campus. Students who are interested in addiction and substance abuse can opt to pursue a specialized bachelor of science in counseling with an emphasis in addiction, chemical dependency, and substance abuse. The school has a very high four-year completion rate, with 84% of recent graduates completing the program in four years or less. Students interesting in continuing their education at Grand Canyon University can choose from a wide variety of psychology graduate-level programs. GCU offers students extensive career placement assistance, and has formed partnerships with a variety of businesses to help students secure internships and jobs. The school maintains an active online job board and alumni organization. Most students receive financial aid, and the school offers a variety of scholarships, grants, and financing options. Tuition and fees are $17,000 per academic year. Ranked 30th by U.S. News and World Report, Pennsylvania State University’s program is a competitive one designed for students who wish to continue their studies in graduate school. Students can choose between a bachelor of science and a bachelor of arts degree. The former places a stronger emphasis on business-oriented classes, and is ideal for students who want to start a psychology-oriented business or pursue graduate studies in workplace psychology. The bachelor of arts degree gives a broad liberal arts survey designed to prepare students for careers and academic training in social work and psychology. Professors are skilled and experienced psychologists and social workers, and many are actively engaged in research in the field. Penn State is a research hub, affording students many opportunities to participate in research or, in some cases, even to propose their own research projects. Penn State is well-known for its active student engagement, and online students can attend the school’s myriad athletic and social events. Students can also join the school’s online psychology club, which provides discussion and educational opportunities to current and former students, as well as professionals in the field. Students deeply enjoy their experience at Penn, with Best Colleges ranking PSU 6th in student satisfaction among public schools. Pennsylvania State University online psychology degree program is a bargain compared to the cost of its traditional program. In-state students pay only $535 per credit hour, while non-Pennsylvania residents pay $579 per credit hour. The program requires 123 credit hours, so full-time students will pay about $16,000 per year. While many online schools cover a wide variety of topics and offer innumerable degree programs, the University of the Southwest offers just three online-only programs. The bachelor of science in psychology requires 120 hours of course work, and each student is required to complete a degree completion plan upon enrolling at the university. The school got its start as a private Baptist school, but is now interdenominational with an explicitly religious bent. Class sizes are small and pre-recorded, which means students can access classes anywhere. Professors encourage vigorous discussion and strong critical thinking skills, and students can expect to spend several hours per week participating in message board discussions on hot psychology topics. While the program does not offer the option to specialize, it does require students to design a 9-hour sequence of coursework based on their specific interests. Students can also gain credit for independent study and internships, and the University of the Southwest endeavors to help students get credit for previous coursework. A significant portion of enrollees in the school’s online program are transfer students. Students consistently rank the curriculum at the university as highly challenging, and faculty are generally full-time instructors with extensive real-world psychology experience. For students interested in becoming licensed professionals, University of the Southwest offers licensure assistance and counseling, and successful graduates may be able to become licensed teachers. The school also offers online-only graduate programs in a variety of psychology topics, such as mental health counseling, school counseling, and special education. Tuition is $14,280 per year. Ranked fifth among universities offering online degrees by U.S. News and World Report, the University of Florida ranks among the best for faculty training and skills among online universities. Featuring 40 full-time faculty teaching online courses, UF was one of the first traditional schools to offer online-only degrees, and the average faculty member has six years of experience teaching online psychology courses. The bachelor of science in psychology places a strong emphasis on math, science, and statistics, but the degree is grounded in a strong liberal arts background; students must take several writing and composition classes, as well as a variety of electives in the social sciences. Classrooms are small, with a relatively low faculty-to-student ratio. Students can pursue general studies in psychology, or can opt for a concentration in behavioral and cognitive neuroscience. The university is a competitive one, and students must apply directly to the psychology program. Those who don’t maintain good grades or meet its rigorous course requirements may be required to drop the major. UF takes both transfer and freshman applicants, but transfer applicants must meet specific academic criteria to begin the psychology program. The school maintains an active and engaged alumni association that students can use to obtain jobs, and also offers an online job board. The university’s career services office can aid students in career and internship placement. Students are strongly encouraged, but not required, to pursue psychology internships. 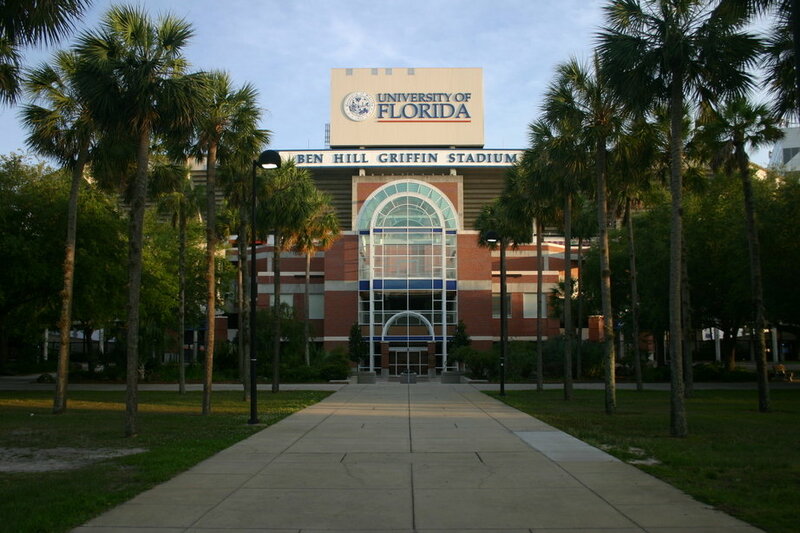 The University of Florida charges $552.62 per credit hour in tuition and fees. The University of the Incarnate Word’s 128-hour bachelor of science in psychology places heavy emphasis on research methods and has a strong theoretical orientation. UIW strongly encourages students to select a complementary 12-hour minor, and most students opt to do so, though it’s not required. The university’s extensive list of electives makes it possible for students to gain significant knowledge in a niche area of psychology. UIW is one of only a handful of schools to offer students free textbooks. Students can access course materials online, potentially significantly reducing the cost of their education. Students interested in continuing their education can opt to pursue a master’s degree in psychology; UIW also offers several other social science programs, as well as certificate options. Students who continue their education at UIW can get a discount on graduate-level courses. Every student works with a personal advisor who oversees his or her educational choices and who works within the psychology department. Courses are overseen by six full-time faculty members, and are taught primarily by adjuncts who work in the field. UIW has received a host of awards for its online degree programs. It was named a Best for Vets school by Military Times, and is ranked by U.S. News and World Report as the 41st best online bachelor’s degree. Tuition is $495 per credit hour, except for active-duty military and military veterans, who pay a discounted rate of $250 per credit hour. 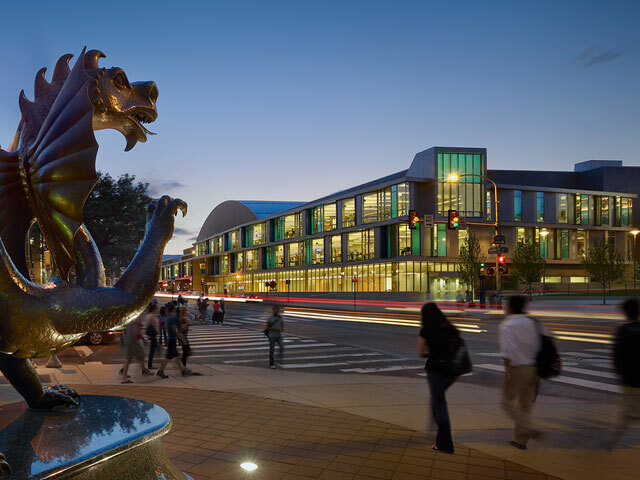 Drexel University is a small, private research university that recently expanded into the online education space. The school endeavors to provide the same personalized education to its online students as students in its traditional classrooms get. Students enrolled in the online psychology program follow the same coursework plan as those pursuing traditional psychology degrees, but at almost half the price. For students interested in a shorter graduation timetable, Drexel also offers an associate degree. The degree is a bachelor of science, with a strong focus on research methods, quantitative data analysis, and critical thinking skills. Students can attend on a full or part-time basis, and class sizes are small, featuring tenured or adjunct faculty who have worked extensively in the field. With its heavy focus on research, Drexel affords students the opportunity to participate in myriad research projects, and strongly encourages students to pursue internships. Students have access to dozens of electives in cutting-edge psychology topics, such as human-computer interaction, health psychology, women’s psychology, and sports psychology. The curriculum consistently ranks among the most challenging psychology curricula. The program is designed for students who have previously pursued higher education; applicants must have at least 24 college credits and a 2.5 or higher grade point average. Students who don’t meet GPA requirements can still enroll, but can only take one to two courses per term until they achieve a 2.5 or higher average. Tuition is $440 per credit hour, or just above $13,000 for a year for students who take a full course load of 15 hours per semester. Capella University’s bachelor of science in psychology is an online-only program from a school that offers exclusively online degrees. Students interested in continuing their education at Capella can choose from a variety of online graduate school options within the field of psychology. Capella offers a unique bachelor’s-to-masters program for students who know they want to pursue graduate studies. The program typically takes four years, and allows students to choose from one of 13 psychology specialties. 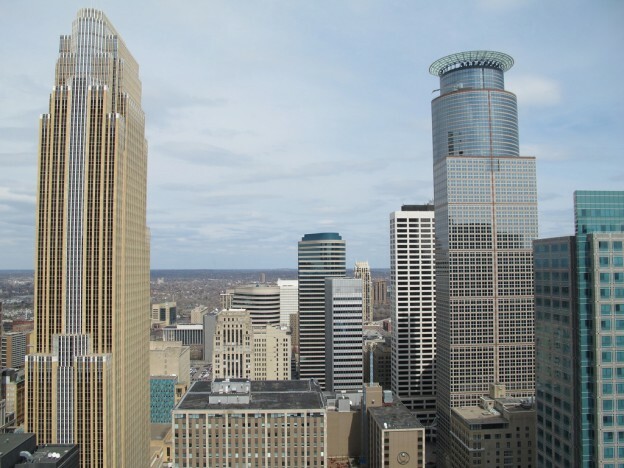 Students report that Capella’s academic standards are rigorous, and the school is known for its excellent career office that offer students extensive help with career development skills and job placement. Many online-only programs have a relatively high graduation rate. Eighty percent of Capella graduates report that their education was directly beneficial to their career. Financial aid may be available to those who qualify. Capella offers a unique grant program to students completing a degree they started elsewhere. The grant program can save students up to $8,000 on tuition. Students can also gain academic credit for life and career experience if they pass a prior learning assessment. Because Capella is online-only, it offers a relatively short admissions timetable, and flexible school start times, making it a good choice for busy professionals and those who want to complete their degrees as quickly as possible. Capella is not a competitive school, which means that the overwhelming majority of applicants will be accepted. Tuition is $12,348 per year. For students who want a challenging curriculum from a well-regarded school, and not just a fast-track to graduation, Florida Institute of Technology could be an ideal fit. Florida Tech offers one of the most challenging available online curricula, and its online bachelor’s degree program is ranked 48th nationwide by U.S. News and World Report. The school has an extremely high rate of student engagement, and ranks among the top schools in faculty training and credentials. Its rolling admissions schedule means that students can apply throughout the year. Students can choose between a bachelor of arts, which emphasizes a traditional liberal arts education, and a bachelor of science, which highlights statistics and quantitative analysis techniques. Students interested in specialization can also choose between BA degrees in forensic psychology and applied behavior analysis. The online classroom curriculum is taught by the same professors who teach the school’s traditional courses, and the course load is identical between the two programs. Students interested in specific sub-disciplines can specialize in a number of options, such as industrial and sports psychology. Florida Tech also offers master’s and doctoral level programs, and the undergraduate online program is designed to help students excel in graduate school. The school operates several psychology clinics at which students can participate in studies or volunteer work, thus gaining practical experience. 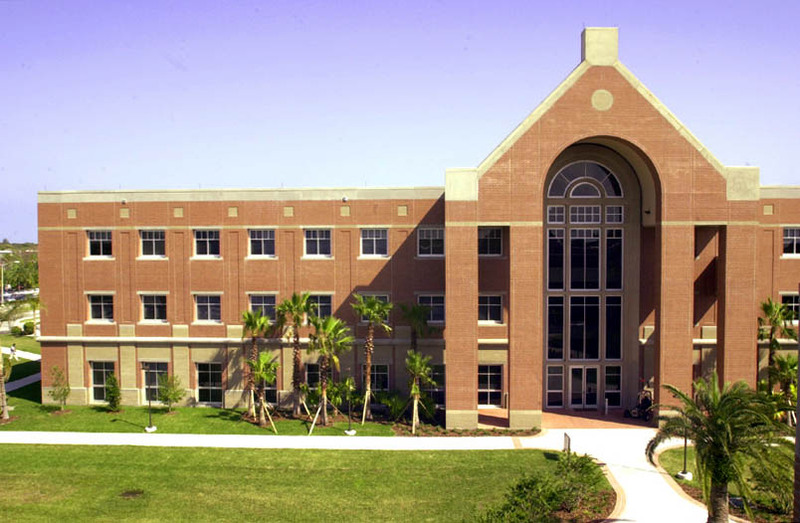 Florida Tech’s career services office helps students with resume and interview preparation, and partners with both local and national employers. Tuition is $495 per credit hour. Walden University was one of the first for-profit schools designed for working adults, so it’s had plenty of time to develop a strong online program. Walden is academically rigorous, and prides itself on its diversity. Its doctoral program, for example, has more African-American students than almost any other doctoral program in the country. 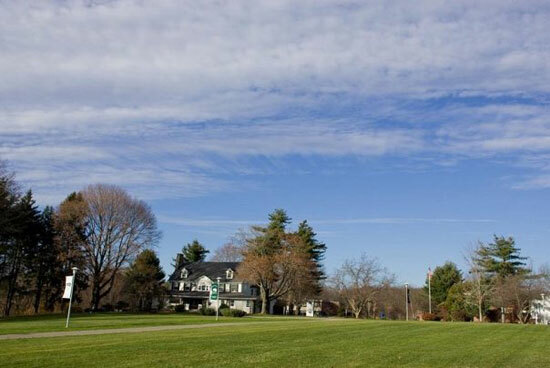 Unlike most other schools, students pursuing a bachelor’s degree at Walden can choose from ten different academic concentrations: addictions, applied psychology, child and adolescent psychology, criminal justice, general psychology, human services, infant and toddler development, preparation for graduate studies, and workplace psychology. The psychology department’s leadership consists of top faculty from other universities, which means students have access to a range of perspectives and that the program is constantly fine-tuned based on the experiences of professional psychologists from a variety of backgrounds and institutional settings. Students can complete the program at their own pace, making Walden an excellent choice for both busy professionals and people who wish to quickly complete a bachelor’s degree. Walden’s position as one of the top online psychology degrees is solidified by students’ ability to move onto master’s and doctoral programs at the same school, both of which are available online. Tuition and fees are $11,460 per year. Founded by Benedictine Catholics, St. Leo maintains its Catholic traditions, but the schools bachelor of arts in psychology is strictly secular. Students are, however, required to take a few courses in religion and spirituality, making St. Leo a good choice for Catholics who want to learn more about their faith and people of all denominations who want spirituality to be an explicit component of their educational experience. The degree requires approximately 120 hours of coursework, and can be completed entirely online, with no in-person coursework required. Students take 39 hours of electives, allowing them the chance to specialize in a specific sub-field; the elective requirement can also be completed by declaring a minor. Skilled, full-time faculty and professional adjuncts teach the online courses, which place heavy emphasis on research, writing, and data-gathering skills. St. Leo offers myriad opportunities for research, and students can participate in on-campus research, spearhead their own research programs, or enlist assistance gaining internships. The admissions process is relatively uncompetitive, but most undergraduates will need to submit SAT scores and previous coursework from other colleges. Students take a placement test designed to determine whether or not they need developmental coursework. The school also requires students to take Starting Point, an introductory course that teaches students basic library skills and ensures they are equipped to use the software required for an online classroom. Most students receive financial aid, and the school has a strong reputation for helping students secure financial aid awards. Tuition is $470 per credit hour, but active military members receive a discount, paying only $250 per credit hour. Ottawa University’s bachelor of arts in psychology program places a strong emphasis on a traditional liberal arts education. Though the Kansas-based school is Christian, the curriculum is secular. The school prides itself on its inclusivity and diversity, and has been around for 150 years. The faculty is engaged with students, and most online course instructors are professionals in the field of psychology. Ottawa has an active campus life, and online students are encouraged to join student groups, many of which have a strong online presence. Ottawa’s program is flexible, with options for full-time, part-time, and accelerated degrees. Most students are transfer students, and Ottawa University works with transfers to help them get credit for previous coursework. Transfer students can transfer up to 80 total hours of credits. Ottawa has a strong reputation for working with military veterans. It was named among the top 20 military-friendly schools by Victory Media, and is listed among only a few dozen Colleges of Distinction. Ottawa University has an excellent track record at helping students secure post-graduation employment. Students are strongly encouraged to pursue internships, and the school’s career office offers resume building and interview skills training. The university encourages students to choose a career-friendly minor to pair with their psychology degree, and allows students to select from 11 options. The school’s unique educational licensure minor allows students to pursue a psychology degree while also meeting the requirements to become a licensed educator. Tuition is $10,920 per year for full-time students. 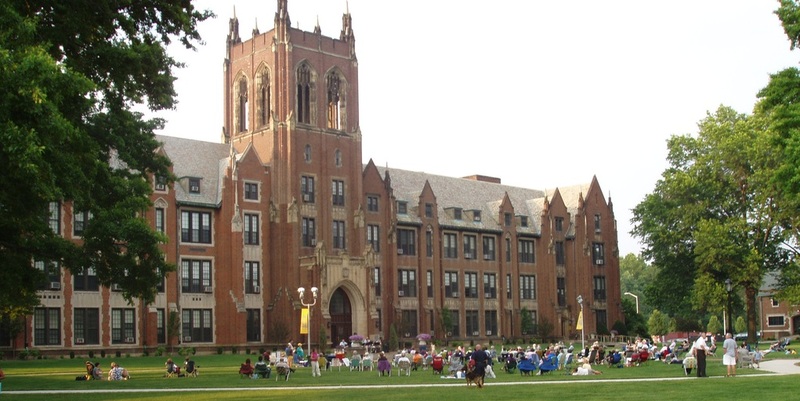 Not to be confused with the better-known University of Notre Dame, Notre Dame College was originally established as a women’s college, but became coeducational in 2001. The school is private and Catholic, with a wide variety of courses on theology and spirituality, but its curriculum is strictly secular. It is still primarily populated by women. The college’s bachelor of arts in psychology allows students to specialize, if they choose, in one of four fields: clinical and counseling, psychology of special populations, psychology as a science, and social and organizational psychology. The degree emphasizes the intersection of biology, social life, and individual psychology. Courses are delivered completely online, and students can complete classes at their own pace, either on a full-time, part-time, or accelerated basis. All courses are 100% online, but students can visit the Ohio-based campus to meet with advisors, seek career, help, or get technical support. Full-time professional faculty teach each course, and students have access to 24/7 technical support. Notre Dame is well-known for its wide variety of athletic programs and student organizations and online students can participate in these student organizations. Students have access to intensive assistance securing jobs, and the school’s master of education graduate program can prepare students for careers as working mental health therapists, school counselors, or teachers. Tuition is $440 per credit hour, or $250 per credit hour for active-duty military members. The University of Phoenix’s bachelor of science in psychology places a strong emphasis on cognition, neuroscience, and quantitative data analysis. Courses are taught by faculty members who already work in the field, and the University of Phoenix places strong emphasis on job preparation. Consequently, every course has a strong practical element, and students learn job skills such as writing and communication as part of their education. Students who want additional help can visit one of the school’s many campus locations to meet with an advisor or take in-person courses. The average class size consists of only 15 students, making it easier for students to get personalized attention, get to know classmates, and to engage in in-depth online discussions. Students who wish to continue their education can pursue a master of arts in psychology, or take master’s level courses prior to transferring to another university. The degree ends with a capstone course in psychology. During this course, students work to integrate their psychological knowledge, evaluate their education, and discuss career and research options. Many students opt to pursue independent study or research projects. Most University of Phoenix students are working adults or transfer students, so the school has a strong reputation for helping students get transfer credits. Its Prior Learning Assessment process also ensures that students are placed in the right classes. Students who have previously struggled may take developmental learning classes. And those who have already worked in the field can gain academic credit for their professional experiences. The admissions process is uncompetitive, and students are not required to submit standardized test scores. The overwhelming majority of students receive financial aid. Tuition is $10,240 per year. Arizona State University offers one of the best affordable online psychology degrees, and its graduate program is ranked 38th in the country by U.S. News and World Report. 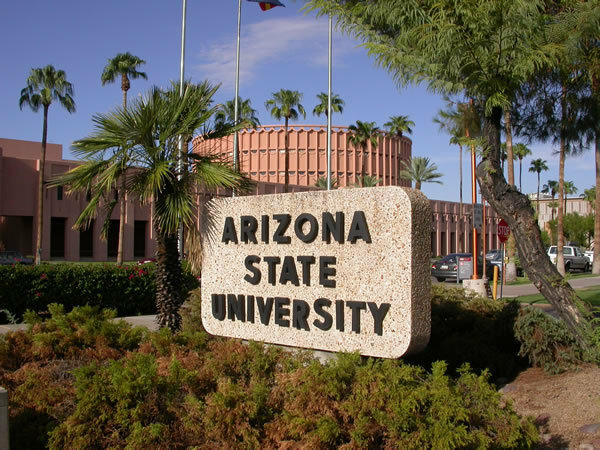 ASU places a heavy emphasis on developing strong verbal and written communication skills in it students, and in so doing, increases their prospects for employment within the field of psychology as well as in other fields. The school is home to competitive master’s and doctoral-level programs, making it an ideal option for students who want to quickly complete a bachelor’s degree and then continue on to graduate school. The school is a major research hub, with particular emphasis on children, families, and social psychology. Several faculty research projects have gained significant media coverage. Faculty members are well-known within their field, making them ideal mentors for future psychologists. Students can take electives to specialize in several different sub-disciplines within the field, including behavioral neuroscience, clinical psychology, cognitive science, developmental psychology, quantitative psychology, and social psychology. ASU’s psychology department maintains an active career site with job listings for students and professionals at every level of experience and education. Psychology majors as a whole have a relatively low rate of post-graduation employment, but ASU boasts high employment among its undergraduate students, and many students opt to pursue resume-boosting internships while still in school. Tuition and fees are $9,861 per year for in-state students, and $23,654 for non-Arizona residents. Colorado State University offers a challenging program in the form of a distance learning classroom. Taught by experts in the field, including the same faculty who teach the traditional psychology curriculum, Colorado State University is ranked by U.S. News and World Report as the 16th best provider of online bachelor’s degrees. Students at CSU are highly engaged, with many distance learners getting involved in student activities. CSU’s rolling application deadline means students can apply any time of the year. The program requires 120 credits, and emphasizes quantitative skills, critical thinking, and strong writing. CSU has a reputation for an easy-to-use online program that doesn’t require any special technological skills. Students who want to change their academic path also have the option to transfer to the school’s traditional program. Class sizes are kept small, and students must complete several lab classes that require them to develop practical skills. 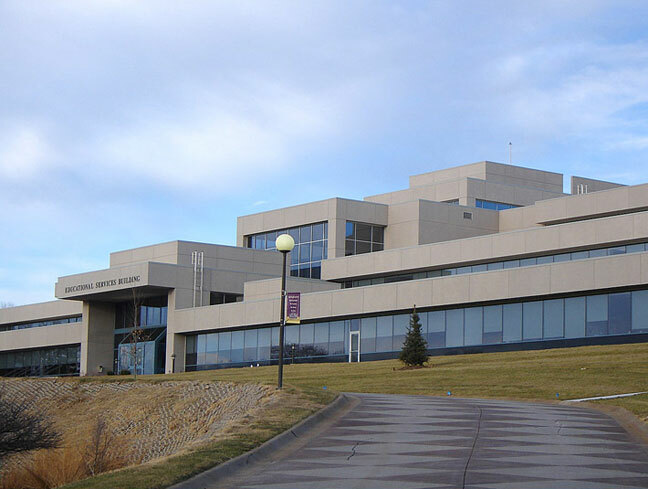 The online program is identical to the traditional program, which means online students receive the same degree as those who attend CSU’s traditional campus. CSU places heavy emphasis on job placement, and offers resume assistance, career skills training, and an online job search application. Students can also gain access to on-campus psychology department jobs that help them gain real-world skills and network with other future professionals. CSU’s active alumni association has a strong history of helping graduates find employment. Most student receive grants or loans. Although CSU is a public school, students pay the same tuition rate whether they live in Colorado or another state. Tuition is $397 per credit hour. U.S. News and World Report ranks Bellevue University’s online bachelor’s program the 18th best in the nation, and the 6th best program for military veterans. Students can choose between online-only programs or coursework in a traditional classroom setting. The school’s online psychology curriculum is identical to its traditional curriculum, and is taught by the same professors, most of whom are full-time faculty members. Students can choose between a bachelor of science and a bachelor of arts. The bachelor of science requires extensive math and science coursework, and is designed to prepare students for research positions and graduate school. The bachelor of arts places heavy emphasis on reading, writing, and a liberal arts background. Bellevue offers a rolling application schedule, as well as extensive support to ensure students have the skills they need to use the school’s online software. Students can meet with their professors in person if they desire, and can access classroom materials at any time, making it possible to devise a flexible schedule around work or family obligations. Transfer students are required to complete at least 30 hours—including 12 hours of major coursework—at Bellevue, and must transfer with a GPA of 2.0 or better. Bellevue is a relatively competitive school, and does not accept all applicants. The university offers a wide array of master’s programs in fields such as counseling, and these programs are available in both traditional classroom settings and online. Student satisfaction is high, and the school’s career office offers extensive assistance with resume development and career placement. Tuition is $375 per online credit hour—a higher tuition rate than the $250 per credit hour charged to traditional students. Ranked 69th for online bachelor’s degrees by U.S. News and World Report, the University of Massachusetts offers more diverse program options than almost any other school. It offers three distinct bachelor of arts degrees in psychology-related topics: psychology, applied psychology, and children’s learning and development. The course load varies slightly depending upon the program you choose, but students can generally expect to take about 120 hours of course work. UMass is consistently ranked among the highest quality online degrees available by a wide variety of organizations, and it consistently scores high on measures of student satisfaction. Its professors are skilled professionals who teach small classes and offer students individualized attention. The admissions process is a competitive one, and functions much like that of a traditional school. Students in UMass’s online program take a course load identical to that taken by students in its traditional psychology programs. Because many students are transfers, UMass has a good reputation for helping students gain credit for previous work. Students can gain up to 30 hours of transfer credits for real-world experience. For example, preschool teachers may be able to seek credit for course work in the children’s learning and development program. The degree requires no online work, and students can complete course work at their own pace. UMass offers career placement assistance, and many students pursue internships. UMass also offers a variety of online-only psychology graduate degrees in fields such as victim studies, school counseling, and mental health counseling. Tuition is $365 per credit hour, regardless of residency status. Like Grand Canyon University, Liberty University is one of only a small handful of online schools offering a Christian-based education. Unlike GCU, though, Liberty is a nonprofit school. The school offers online-only associates degrees in psychology and a bachelor of science in psychology. The program is based around a Christian curriculum, and students can opt to specialize in a variety of sub-disciplines, including Christian and pastoral counseling, life coaching, military resilience, and substance abuse. Because Liberty University has so many transfer students, it actively works to help students get credit for previous work, and helps every student develop a degree completion plan. Students may also be able to obtain credit for life and career experience, or by displaying subject-specific knowledge on an exam. The program requires 120 hours of coursework, but the majority of participants are transfer students. 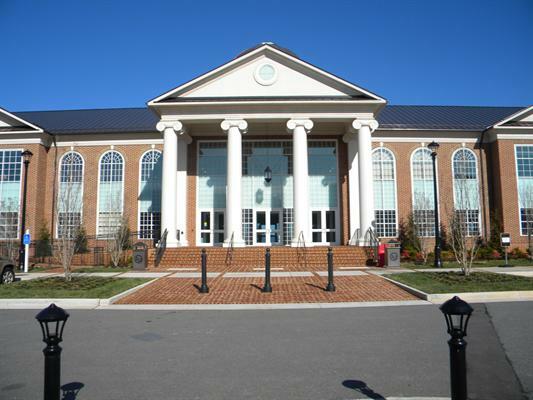 Students must take 30 hours at Liberty, and half of the major classes must be completed at Liberty. Liberty places a heavy focus on preparing students for gainful employment. The school’s career office has extensive partnerships with businesses across the country, and students are required to complete a three-hour internship as part of their training. The school offers placement assistance for both jobs and internships. Liberty accepts the overwhelming majority of applicants. Students can continue their education at Liberty through it’s master’s or doctoral program. The school also offers a wide variety of certificate programs in psychology for undergraduate, graduate, and non-degree seeking students. Tuition is $360 per credit hour. Situated in a geographic hub for psychology professionals, Oregon State University offers both bachelor of science and bachelor of arts programs. Oregon State University’s online bachelor’s program is one of the best in the country, and is ranked 46th among online programs by U.S. News and World Report. The curriculum is a challenging one, totaling 80 hours. Students must complete 48 core classes, plus a three-credit writing intensive course. You’ll also complete 15 to 24 credits determined by the specific BA or BS program you’ve chosen, 65 major psychology classes, and a balance of electives to complete the 180-credit requirement to graduate. Students who transfer to OSU from another school must complete at least 45 credit hours at OSU. Most students take longer than four years to graduate because of the demanding course load, but online students have access to flexible scheduling, summer classes, and full-time and part-time course work options. Professors in the school’s psychology department teach the classes, and all instructors have advanced psychology training as well as real-world experience. This means that online students have access to the same quality instructors as students who attend traditional classes. Classes focus on both applied and theoretical elements of psychology, giving students a broad survey of the field. Oregon State University’s tuition is significantly cheaper for online students, and one of the cheaper options among all online psychology degree programs. Students pay $271 per credit hour, or $8,130 per year for students who take a full load of 30 hours per year. Washington State University’s bachelor of science in psychology offers a relatively short program. In addition to completing the university’s general education requirements, students also take 11 hours of core psychology classes, and 19 hours of psychology electives. Classes feature a low student-faculty ratio, and the same faculty who teach the university’s traditional psychology classes also teach its online courses. Students can apply as freshmen, but most students pursuing an online degree at WSU are transfer students. Washington State has an excellent reputation for helping students get credit for their transfer courses, which means you can graduate earlier. The school doesn’t currently have online graduate courses in psychology, but does offer online master’s programs in a host of related fields, including criminal justice and special education. Students can pursue electives to specialize in a specific sub-discipline within the field of psychology, including neuropsychology, child development, clinical neuropsychology, industrial and organizational psychology, learning and cognition, and social psychology. Washington is a major hub for the profession, and students are strongly encouraged to complete internships. The schools career office has a stellar reputation for preparing students for interviews and helping students land jobs, and WSU has a variety of partnerships that can help students get their foot in the door of the field. Online students pay a discounted rate, and do not have to worry about residency classification for the purposes of tuition. Most students are able to obtain financial aid. Tuition is $570 per online credit, or $5,693 per semester for students taking 10 to 18 hours. Kaplan University’s online bachelor of science in psychology emphasizes the scientific side of psychology, with special focus on critical thinking, data analysis, theoretical orientation, and neuropsychology. Students can choose among four concentration areas: child development, applied behavior analysis, industrial and organizational psychology, and addictions. The addictions concentration meets the National Association for Alcoholism and Drug Abuse Counselors (NAADAC)’s requirements for a National Certified Addiction Counselor, and students who graduate the program can take the NCAC certification exam. Kaplan is known for its flexible coursework and scheduling options. Students can take classes according to their own schedules, making it possible for students to pursue part-time, full-time, or accelerated degree programs. Kaplan has flexible start dates year-round, and a short and uncompetitive admissions process. The school operates on the quarter system, and requires 180 credit hours, or about four years of coursework, for students to graduate. The schools Advanced Start program allows students who have completed an associate degree or another bachelor’s degree to finish their psychology degree in two years or less. Kaplan’s diverse array of academic tracks makes it an ideal school for students who wish to continue to graduate school. The university offers a variety of graduate-level certificates in specialties such as addiction, as well as a master’s degree in psychology and several related fields, such as industrial and educational psychology. Faculty members are professionals in the field, and the school maintains a low faculty-student ratio. Tuition is $10,710 per year. Ranked number one among schools offering an online bachelor’s degree by U.S. News and World Report, Central Michigan University’s psychology program offers a traditional psychology degree in a non-traditional setting. Students can take classes online-only, or take a combination of online and in-person classes. At CMU, online classes are taught by the same instructors who teach the university’s traditional classes. Faculty are tenured or adjunct professors with real-world experience in the practice of psychology. As a research university, CMU affords students opportunities to participate in research projects and, with the assistance of an advisor or mentor, to even spearhead their own projects. The school has an active psychology department that encourages students to get involved in the larger psychology community. Students can, through CMU, gain membership to Psi Chi and the American Psychological Society’s Student Caucus, both of which afford students networking, publication, and career training opportunities. The degree requires 124 hours of classes, and students are required to specialize in a specific psychology concentration, such as child or social psychology. The program places a strong emphasis on research methods and data gathering, and all students have to take courses in math and statistics. For students who wish to continue their psychology education, CMU also offers online classroom instruction for a master’s in psychology. CMU also offers traditional master’s degrees in a variety of psychology specialties, such as school psychology. Tuition is $387 per credit hour, and military members pay only $275 per credit hour. Columbia College’s bachelor of arts in psychology is taught in eight-week sessions, making it a good choice for students who prefer shorter academic terms. Students are required to complete 120 hours of coursework, in addition to a culminative evaluative experience. During this final class, students discuss what they have learned, ask questions, work on final projects, and plan for their careers. Columbia College consistently receives awards for its academic programs. The school is ranked 69th by U.S. News and World Report for online bachelor programs. Students interested in continuing their education at Columbia should note that the school’s graduate business and education programs are ranked by U.S. News and World Report among the top 100 best graduate programs. The Princeton Review lists Columbia College as one of the best colleges in the Midwest, and Military Times named Columbia a Best for Vets school. Classes allow students lots of independence, and are structured around a syllabus which students are expected to complete. Class time consists of online discussions, which serve as “virtual classrooms.” Class sizes are small, and students are expected to actively participate in each online discussion. Professors offer additional assistance and individualized attention to students who are struggling. Online students aren’t required to submit standardized test scores, and the school’s admissions timetable is a short one. Admissions are non-competitive, with the overwhelming majority of students accepted to the program. The school’s financial aid office actively works with students, and most students receive financial aid. Tuition is $260 per credit hour. The School of Professional Studies is an offshoot of the City University of New York, a highly competitive and academically rigorous school. 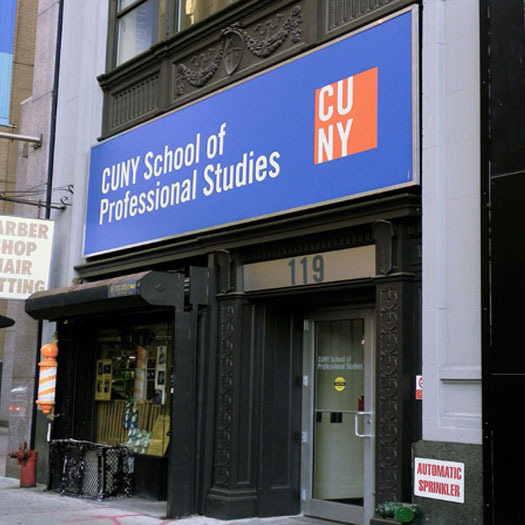 SPS offers a curriculum similar to that offered at CUNY’s traditional campus, as well as dedicated full-time faculty members to teach courses. The school’s bachelor of arts in psychology places a strong emphasis on communication and writing skills. Coursework takes 120 hours to complete. Students can choose from three different concentration tracks: psychopathology, organizational psychology, and psychological development. The program is designed for transfer students, and requires that students complete 24 hours of coursework at another college with a GPA of 2.5 or higher to gain admission. The application timetable is similar to that of a traditional school, and the application process is competitive. Every student is required to demonstrate basic proficiency in math, reading, and writing. Students can do so by meeting minimum SAT score standards or taking a placement test. Students struggling in these areas may be required to take developmental learning courses. SPS’s developmental learning program has an excellent reputation for helping students prepare for college. In addition to its bachelor’s degree program, SPS offers a wide variety of undergraduate certificates, as well as certificates for students who have already completed a bachelor’s degree. Students can also pursue an associate certificate in child development. Students receive regular advisement from a dedicated academic advisor, who will help new students complete a degree completion plan and aid students in gaining credit for transfer work. Tuition is $3,015 per full-time semester for New York State residents, or $535 per credit for non-residents. California Southern University is a 100-percent online university, founded in 1978. It’s well-known for its affordable degree programs, with students paying only $250 per credit hour of coursework for its Bachelor of Arts in Psychology program, $350 for its master’s programs and $395 for its Doctor of Psychology program, which meets the educational requirements for licensure as a clinical psychologist in the state of California. CalSouthern’s BA program places heavy emphasis on a broad survey of liberal arts disciplines. The school’s degree program is a relatively short one, requiring only 24 core hours of psychology, 21 hours of elective psychology coursework, and 45 credits of general education requirements, making it an ideal option for people who want to quickly complete their degrees. Students can also pursue a wide variety of certificate programs, too. Certificate programs include certificates in addiction studies, pastoral counseling, chemical dependency, sports psychology, and industrial psychology. CalSouthern offers a curriculum that consistently scores high on measures of difficulty, and most students rank their experience at the university as a positive one. Students who take a little more time than usual to complete their degrees don’t have to worry about precipitous tuition hikes. Once you enroll in courses, your student rate is locked in. CalSouthern offers a choice of no-interest payment plans to all students. Ranked 16th for online bachelor’s degrees by U.S. News and World Report, Kentucky-based Fort Hays State University offers both bachelor of science and bachelor of arts degrees in psychology. Students pursuing a BS take a heavy course load of natural science and mathematics, totaling 20 hours. Students who opt for a BA, by contrast, pursue a degree that places a strong emphasis on liberal art and social science electives. Both degrees take approximately 120 hours to complete, and the school’s curriculum meets the recommendations of the American Psychological Association’s standards for undergraduate majors. Students can apply to Fort Hays as degree-seeking or non-degree-seeking students, making the school a good choice for students who aren’t yet sure whether they want to pursue formal education in psychology. U.S. News and World Report emphasizes the training and credentials of the school’s faculty, and ranks the school fairly high on measures of student engagement. Students can choose from a wide array of electives in various psychological sub-disciplines. The school’s career services office maintains a strong online presence, and students can gain in-person or virtual help with resume-building, interview skills, and job and internship placements. Students who are interested in continuing their education can pursue online degrees at Fort Hays in a variety of psychology-related fields, such as school psychology and special education. For Hays also offers a broad slate of certificate programs that students can pursue in addition to or in lieu of a bachelor’s degree. Programs include topics such as social work and allied health. Tuition for undergraduates is $186.50 per credit hour. “25 Best Schools for Online Psychology Degrees.” 25 Best Schools for Online Psychology Degrees | Super Scholar. SuperScholar.org, n.d. Web. 08 Sept. 2014. “Best for Vets: Colleges 2014.” Military Times, 2014. Web. 12 Sept. 2014. “Best Online Bachelor’s Programs.” U.S.News & World Report, 2014. Web. 08 Sept. 2014. “Best Online Bachelor’s Programs for Veterans.” US News. U.S.News & World Report, 2014. Web. 10 Sept. 2014. “Best Value Schools.” Best Value Colleges. U.S.News & World Report, 2013. Web. 08 Sept. 2014. “College Navigator.” College Navigator – National Center for Education Statistics. National Center for Education Statistics, n.d. Web. 08 Sept. 2014. “Online Psychology Bachelor’s Degrees.” US News. U.S.News & World Report, n.d. Web. 08 Sept. 2014. “The Top 10 Online Psychology Programs.” Best College Reviews, n.d. Web. 08 Sept. 2014. “U.S. Schools with the Highest Student Satisfaction Rates – Best Colleges.”Best Colleges RSS. BestColleges.com, n.d. Web. 08 Sept. 2014. “Walden University Ranked Second Among Universities Awarding Doctorates to African Americans.” Walden University, n.d. Web. 08 Sept. 2014. 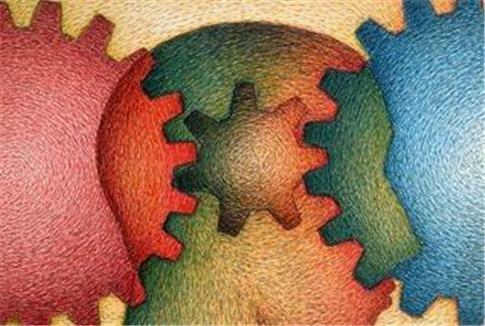 What is the Difference Between Psychology and Counseling Psychology? Is an Online Psychology Degree Cheaper Than a Traditional One? What is the Difference Between a BA in Psychology and a BS in Psychology? Zawn Villines is a freelance writer based in Atlanta, Georgia. She specializes in health journalism.